I know I should be getting ready for Christmas...but I am kind of a last minute type girl. 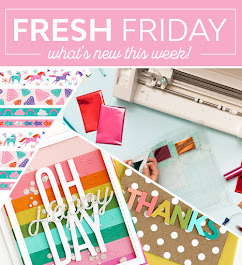 I came across Denise's Happy Stamping Blog and read that Whimsy stamps is looking for a guest designer for January. Their stamps are sooo cute. I thought I'd give it a try. Make sure to check them out. 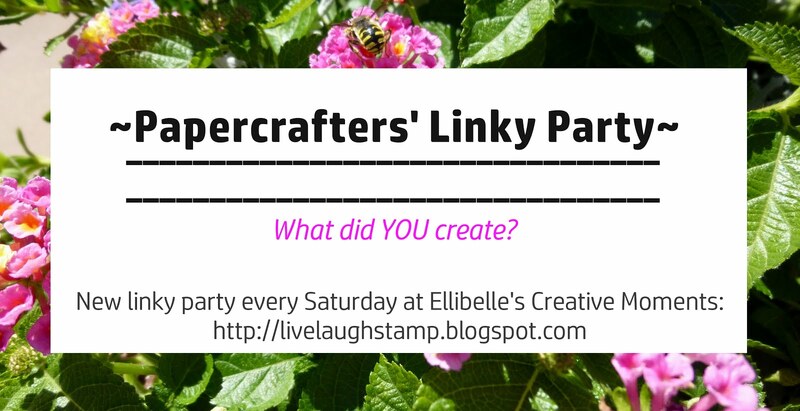 I have never even heard of them until now, so I didn't have any Whimsy stamps to create my cards with. Since it's so much fun, I decided on making two. My first card for this design team call I made using a cute Penny Black stamp. I received the image from stampermom23boys from the "SCS pay if forward" image thread. Thank you so much Carrie!! Colored with my alcohol markers, the large flower was cut out and adhered on top of the other one using dimensionals. 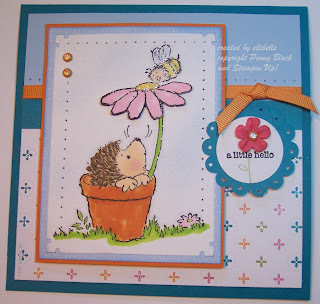 Stickles was added to the flowers centers and the bee's wings. Designer paper is from SU (retired). 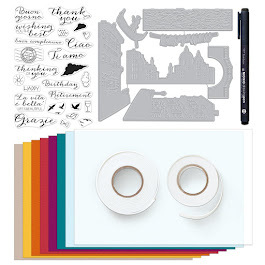 I also added stickles to the designer paper. To finish this card off I did some paper piercing along the actual image, and above the ribbon, added the sentiment with a flower and brad. 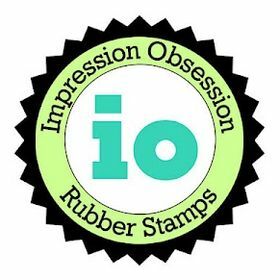 Stamps: Penny Black, stampin Up (vases in Vogue), Paper: taken with teal, bashful blue, pumpin pie, designer paper (all SU), white (GP 110lb), ink: black, Accessories: alcohol markers, grosgrain ribbon, stickles, scallop circle punch, brads. 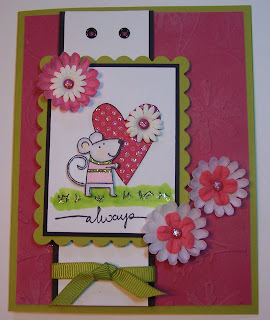 For the second card I used the stamp set "Happy Heart Day" from SU. The rose red card stock was embossed with my big kick and cuttlebug embossing folder. I sponged some white craft in on the embossing. I stamped the image on Designer paper and cut out the heart. Then I stamped it again on white card stock and cut out the mouse. Everything was then adhered to white card stock, the mouse is popped up using dimensionals. I colored the image with my alcohol markers. 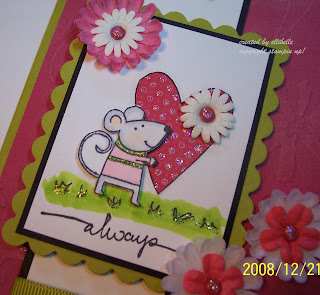 Stickles was added to the grass, the stripes on the mouse's shirt, the dots on the designer paper as well as the brads. Stamps: happy heart day, small script (SU), Ink: memento tuxedo black, paper: kiwi kiss, rose red, basic black, designer paper (all SU) white (Georgia Pacific 110lb), accessories: black eyelets, fabric and paper flowers, brads, grosgrain ribbon, stickles, dimensionals, alcohol markers. These came out really cute...good luck with the design team!! Both are really cute. Good luck with your entry. 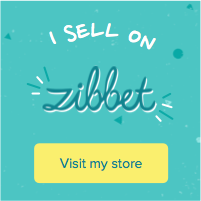 Nice cards, I hope you are successful, they look great so you should be. Very fun! These are very adorable! Good luck with your entries! Such nice work on these cards, good luck on the DT! !